Party games have taken on many different forms and play styles over the years. However, Oh My Godheads has to be the strangest yet most unique form of it that I’ve ever seen. 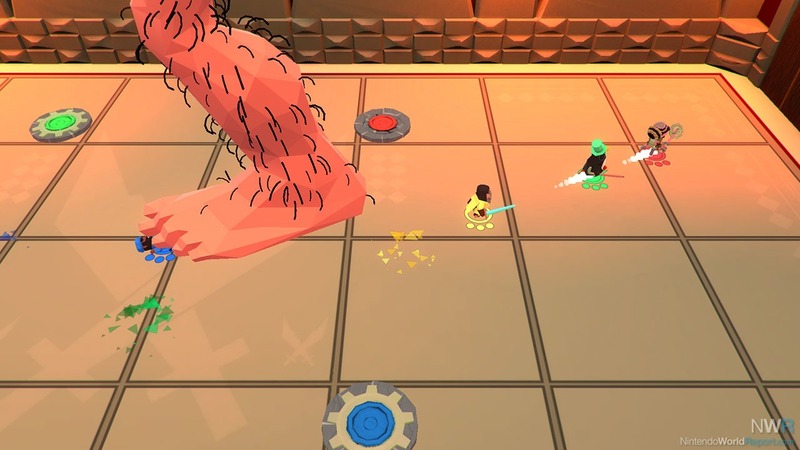 It feels like a perfect blend of Gang Beasts and various mythologies that provides hours of chaotic fun with your friends. However, this came with a deadly side effect that brings its value down significantly. There is no serious plot outside of a few character bios that reveal some of the motivations and backgrounds of the various playable characters. This was somewhat disappointing to find out, as there is potential for it to have a decent story that could explain where the Godheads originated from, why they are here, and why each of the playable characters was seeking them out. Alas, these questions will remain a mystery. 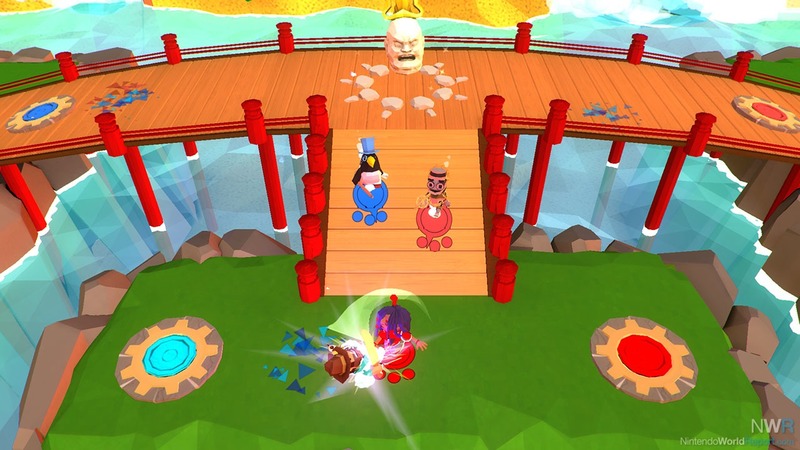 The game comprises five different parts: capture the head, king of the head, headhunters, last man standing, and trials. Capture the head is essentially the capture the flag where your goal is to bring the Godhead to your alter while evading the other team. King of the head has you competing against others to see who can hold on to it the longest time. Headhunters is a fighting challenge to see who can acquire 9 kills the fastest. Last man standing (as it implies) is a fighting challenge to see who will be the last man standing. Trials are various single and co-op challenges that are used to introduce the player to the game’s mechanics and give them some tasks to complete to improve their skills. Each of the previously mentioned modes is for 1-4 players, with the exception of trials which is 1-2 players. However, there isn’t always someone to play with you, so they introduce a character known as Mr. AI that serves as the computer to play against in each of the modes so you can still play them by yourself. However, the AI is pretty lackluster and doesn’t offer up much of a challenge. Even when set to the hardest difficulty, they would use the same strategies each round to try and win, which compromises the player’s overall enjoyment if they already know what their opponents are going to do. It grew stale quickly playing on my own, not even reaching an hour in gameplay (this includes a full round of each mode and all of the trials). I feel this could kill the desire to purchase this title as having a second player isn’t exactly common and having poor single player options really damages its overall usability. The art direction for the game is honestly phenomenal and works well for their chaotic playstyle. Each of the maps has their own sense of personality and time taken out to design it, in a manner that would reflect the location where the Godhead originated and their lifestyle as stated by the legends. Their quirky, yet lovable characters are also portrayed quite well with each having their own physique that’s unique to them and reflects their occupation and origin perfectly. 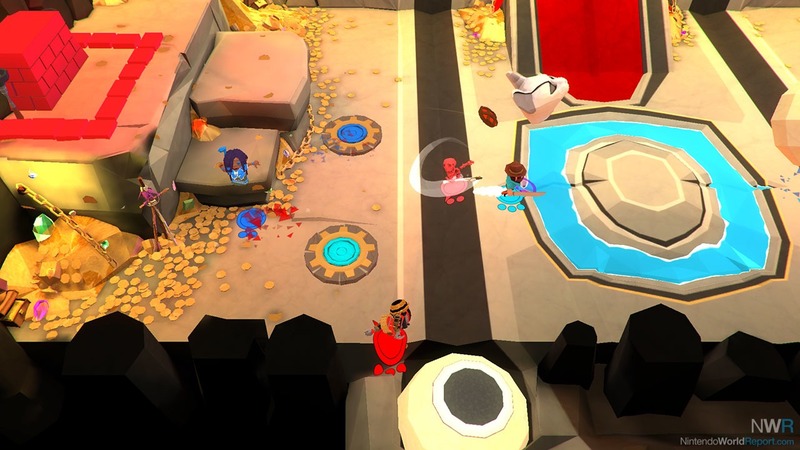 The main thing to be said about Oh My Godheads: Party Edition is that it is a party game to the core and those who are looking for a mix of both single and multiplayer fun will be sorely disappointed by this game. While I did get a kick out of it when playing with some of my friends, it’s best to look elsewhere for a party game that will please you and the crowd.